The 2-week Deep South tour is perfect for those who have already been to Sudan and wish to see even more and for those who would like to be part of a true adventure. 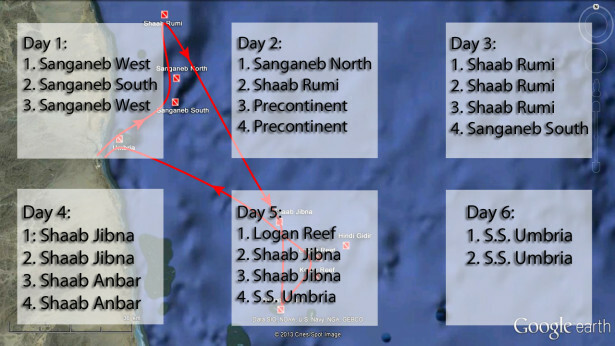 This is a unique itinerary, sailing all the way South to Dahrait Abid, close to the Eritrean border and including such sites as Masamirit, Barra Mussa Kebir, Keary, Pender, Logan and Protector Reefs, Shaab Ambar and Umbria, among others. The untouched and barely discovered sites hide marvellous marine life and tremendous sharks galore. 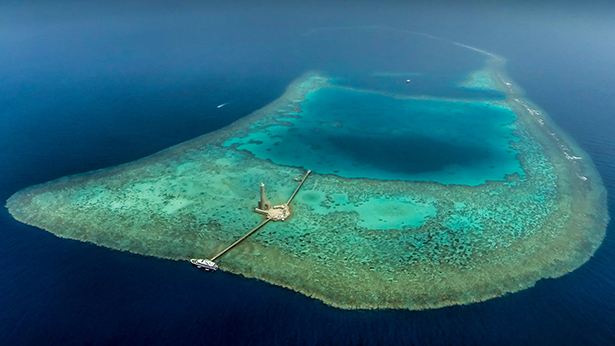 There are only a couple of liveboard ships sailing to this Southern region of the Sudanese Red Sea, making this a truly exclusive and one-of-a-kind safari. It is recommended only to advanced divers. If we are talking about the Sudanese Red Sea, we must emphasise that you can expect to dive with sharks at most dive sites. Sudan’s truly unique trait is when you are surrounded by a school of sharks so large, you cannot see beyond it and even the most experienced dive guides used to seeing plenty of sharks are left in an awe. In short, this is exactly what has happened this week. We have had an exciting week. We ran into a couple reef sharks on the southern side of Sanganeb already on the first day and the next morning the hammerheads showed up too on the northern side. Shaab Rumi was exceptional this week with lots of reef sharks, a school of 20 hammerheads, dolphins and turtles. 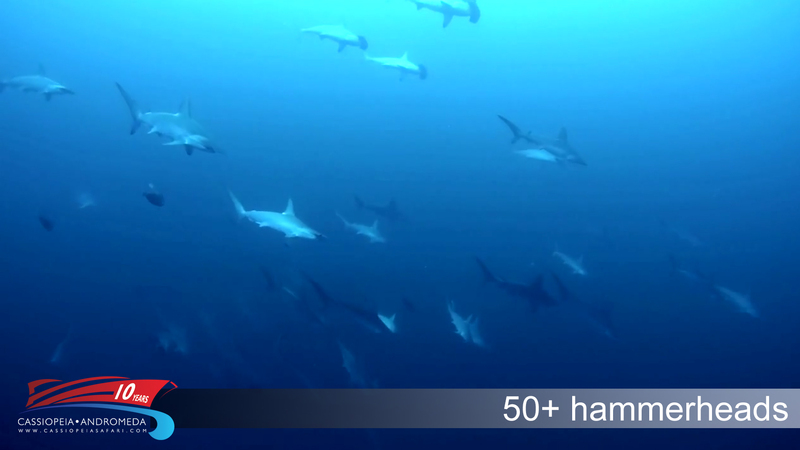 The week was crowned by Jibna where we found ourselves right in the midst of 50 hammerheads at 30 metres. We were literally doused with hammerheads, a virtual cloud surrounding us. This has been the best shark week so far! If there is a place where your best bet is to dive with Nitrox, it is Sudan! 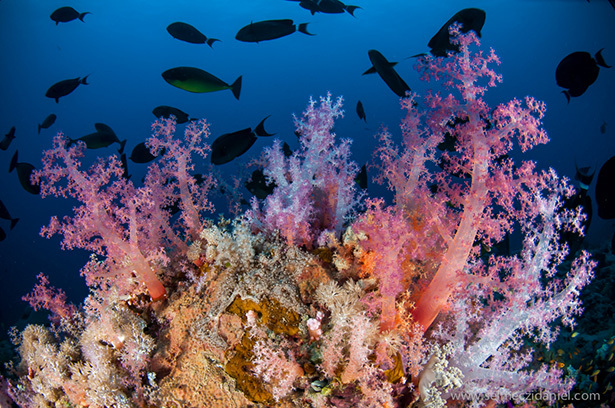 We often swim to 20-40m depths along drop-offs and reef walls. Book by April 21, 2014 over the phone or in e-mail! 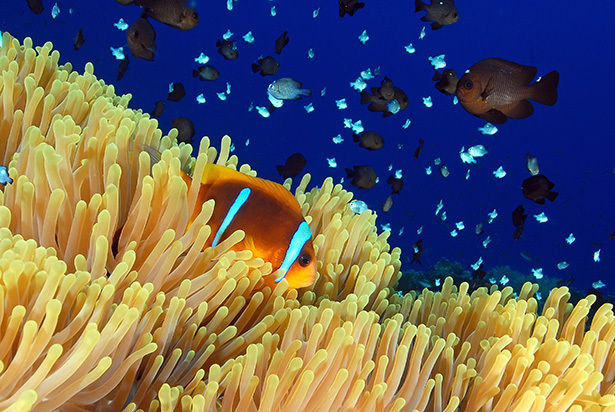 If you wish to know more about how to dive in Sudan, click here! There was a rare sighting in the Port Sudan harbour last week, none other than the unusual line-up of stars. The ideal thing would be to see the line-up for yourself but for those of you who are not in the neighbourhood these days, we will tell you what you could see. Cassiopeia also arrived in Sudan from Egypt last Friday. She sailed out for her first, a North trip, yesterday, head to head with Andromeda. We are getting the hang of this season nicely, it is getting warmer and warmer every week and the visibility underwater is increasing. Again, it was Qita El Banna and Sanganeb that hid the biggest attractions of the past week. We dived with a manta at the former and a 20-member school of hammerheads drew a smile on our faces at the latter. And we were lucky to experience another rare attraction – whales! Although we all expect miracles from the Sudanese Red Sea, these cannot be only megalomaniacal expectations. Not only tons of hammerheads, grey reef sharks and mantas swim in the area but the reefs with the thousand faces are almost worth a prayer! 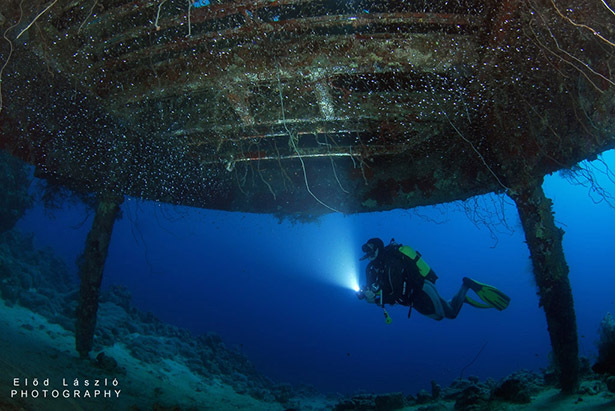 Attention photographers and divers! You can take the photo of your life in Sudan! A new week, good hopes, we will be back next week to tell you what we have seen. 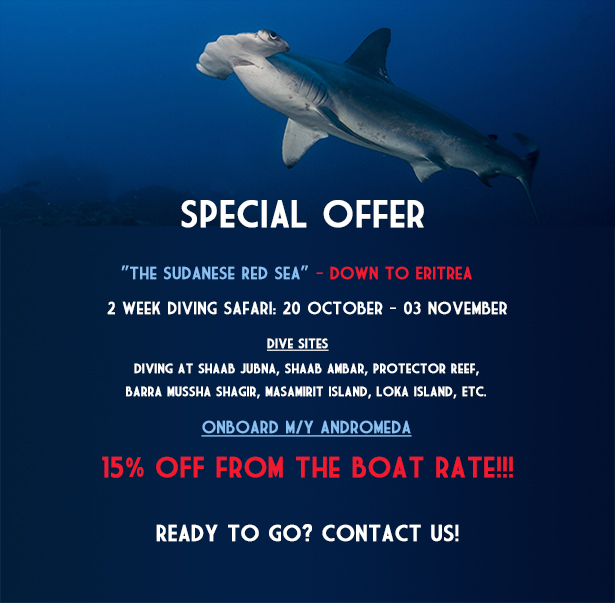 If you would like to know more about diving in Sudan, click here! Aside from the political unrest in Egypt in the past few months, the diving industry kept ploughing ahead but with fewer divers in August and in September than usual. Most old-timers could not have been persuaded to stay away despite many European countries issuing warnings against travelling to Egypt. However by the end of September most countries have eased or lifted their travel restrictions and deemed certain areas such as the resort towns and the Cairo airport safe for travel. Taking a breather for these few weeks definitely had a positive impact on the corals and marine life. They had a chance to regenerate and we were able to cruise the Red Sea virtually by ourselves, to the delight of the divers onboard, while most of the diving boats stood idle in the harbours. We barely needed to jump into the water, there was so much to see. Dolphins circled around our boat and we could barely keep count of the turtles popping their heads out of the water for air. We saw mantas, up to 30 hammerheads at a time, oceanic white-tip sharks and lots of other marvels we thought now only existed in the marine life encyclopedia. Life has returned to normal in Egypt in the past couple of weeks. 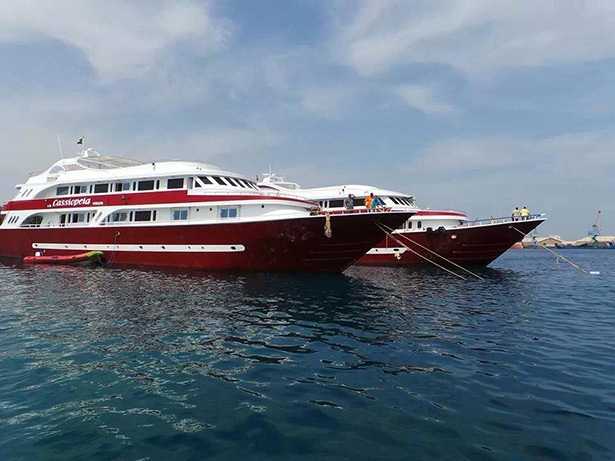 Charter companies have resumed their flights, tourists and divers are arriving in great numbers again to the Red Sea! Many are still trying to catch a few good diving weeks left in the season but there are fewer and fewer available places. The goldfish turns white without adequate sunshine and we are the same. Sometimes we just must pull up the shades and get that Vitamin D! Diving, good eats, relaxation, sunshine, let’s go!